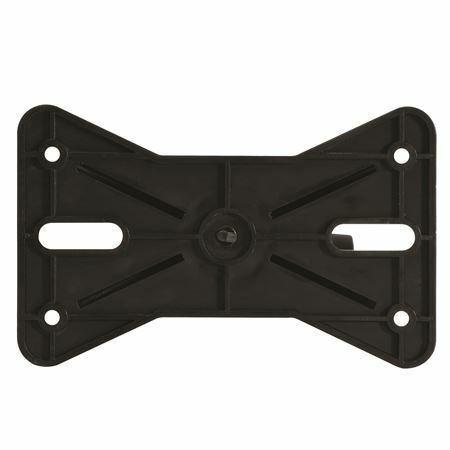 Shop On Stage EB9760 Exterior Speaker Mounting Bracket from AMS and enjoy Fast & Free Shipping. New and improved non-slip tightening mechanism! 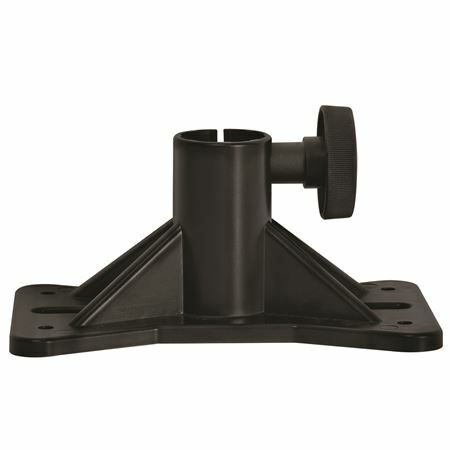 Fits on 1-3/8" pole and mounts to any speaker cabinet without the need for a cutout. Constructed from heavy-duty plastic. Mounting hardware included. When you need "good options" to get the job done! The mounting bracket came in good shape/new I had different configurations to apply the bracket to use the bracket(s) for but,regardless of the use they secure my gear flawlessly! I love these adaptors. I use them to attach moving heads to speaker stands and crank stands. Ive used these to attach my inno spot pearls to a crank stand with no problems. It is much easier than lugging around heavy truss. Ive also used to to mount intimidators spot 250, and inno pocket spots. 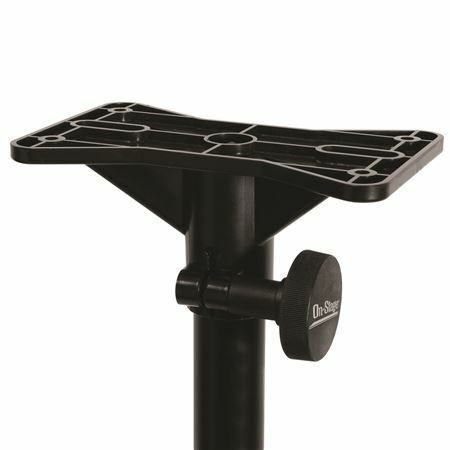 I also use a few of theses to mount my Chauvet Swarms 5x to regular speaker stands. By far you can't beat the price on AMS. AMS is my new go to supplier for all my needs and in my area I always get my items the next day.